...A bad one loses it. Invest in yourself, and in your business, with a professional headshot. At Studio Lumen we do it right, and on brand, every second Friday of the month. 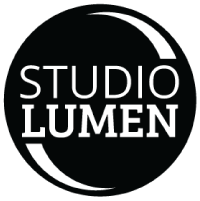 Happening every second Friday of the month at our studio at 1835 20th Ave NW, your Headshots Experience Day with Studio Lumen will help you stand out from the crowd. Not only do our headshots shine for their professional quality using our expert lighting and decades of experience in photographing people, but our approach saves you money, helps you dissipate any nerves before we start shooting, and our professional hair and makeup artist will get you camera ready. If you want to learn a whole lot more, please check out our blog series about it, starting here. Two retouched images, at websize. Additional photos are available. Please allow at least 40 minutes for the experience. The cost for all of this is only $200 + GST, which we think is much less than the value the headshot will bring to your professional profile, business website, or ad. For more information on our Headshots Experience Day, use the contact form at the bottom of the page, or if you are ready to register for your time-slot, use the registration button below. Our past clients agree that our headshots are well worth the investment. As one of our clients recently put it, photography is everything!